Tag Archives for " Benjamin Brandall "
How exactly do you go about keyword research? The way I see it, there are 2 different workflows. In my experience, the second way of doing it is so much better. Why? I’ll explain. 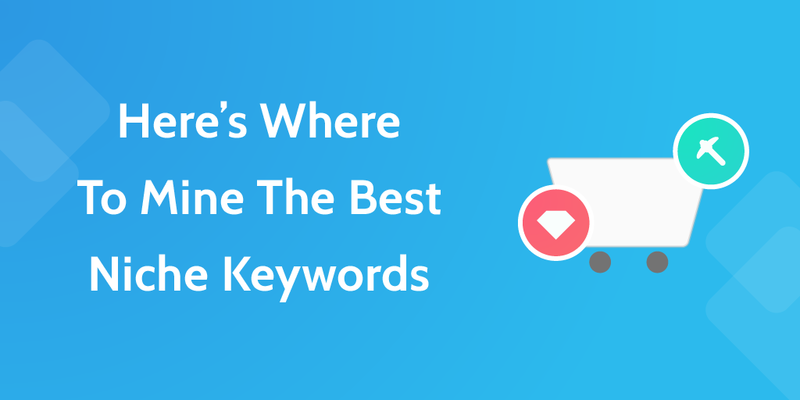 However, if you want to do it the more efficient way (where the keyword informs your content creation process), you’ll have to prepare a few things first. You’ll need an idea of what your market wants. The longer you’ve been in business, the more obvious this is. The more competitors you have, the more obvious this is. This isn’t a guide for finding out what your audience wants, but it does tell you how to target them once you know. The reason it’s important to get a grasp of your target keywords is to maximize traffic through organic search. This means you’re going to want to phrase your content in the same way people speak, think and search. 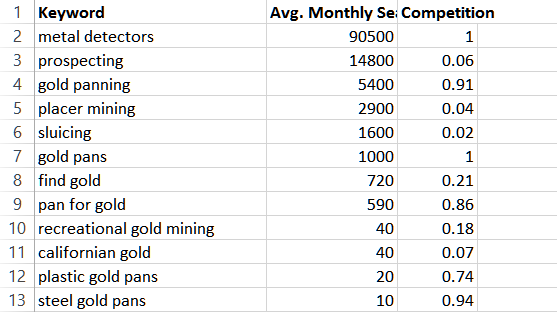 For the sake of an example, let’s say you’re in the gold panning niche. You have a great product in that market, and it’s your job to get people to buy it. You’re no gold panner, and you don’t have much of a clue what your audience is like. Where do you start? There are two big communities on the internet that are (excuse me) gold mines for this sort of information. Let’s take a look at what they are, and how you can use them as a tool. 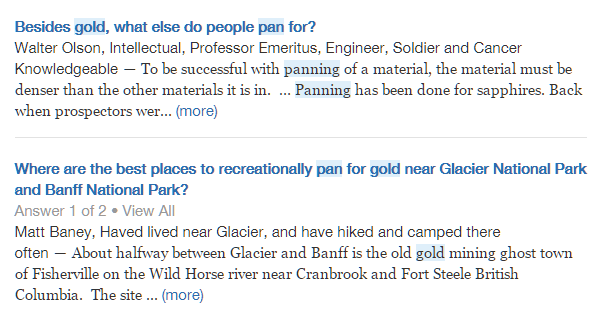 The first thing I’d do after I’d picked my niche (gold panning, in this case) would be to find out what other names it goes by. Using the super-fast Mindmup, create a mindmap and write down terms and fields you already know, associated with your niche. Is that useful, or 100% correct? I’ve got no idea at this point, but it’s a start. Quick tip: You can use Mindmup mostly with just the keyboard. Press Enter to edit the text in a box, Enter again to create a new box connected to the one you have selected, or Tab to create a sub box. Wikipedia is a fantastic resource for keyword research because related topics are grouped together logically, linked early in the article and you can find out about your target market. Is it complete, perfect or 100% correct? Again, I have no idea! It doesn’t have to be. This is the research process. Now you have an idea of the search terms you could use to get niche keyword ideas for content, it’s time to head over to Quora. 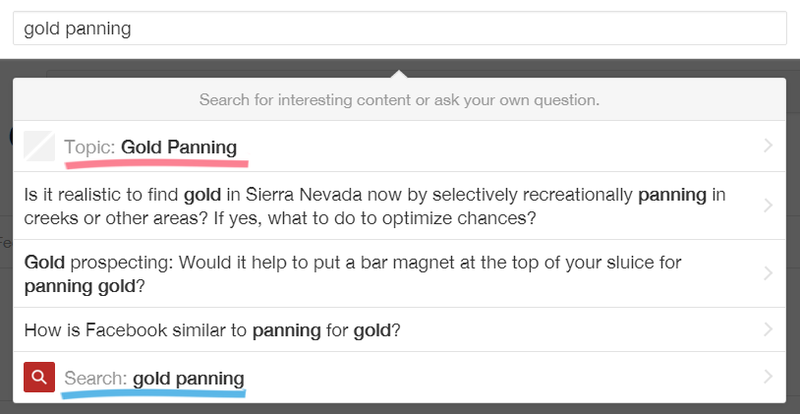 Quora can be used to find out what the people behind the keywords care about. This will link your keywords to content ideas, which, if targeted and promoted properly, lead customers to your site. So, start by searching your keywords. You’ll see that your options are divided into two categories: Topics and Search. Topic includes questions related to your term, but not necessarily with the exact term in the title. It’s very useful to find subjects related to your niche. Search shows only questions with exact matches to your keyword in the title or description. It’s best for really focusing in on a subject once you’ve got a target keyword and finding what the market cares about. 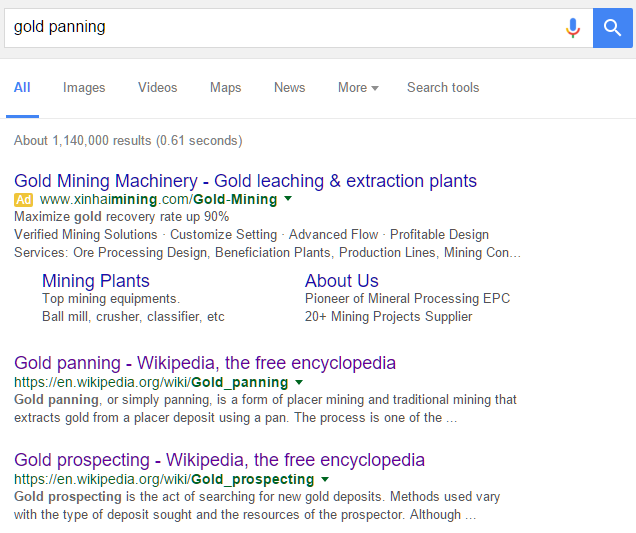 Here are two interesting questions found in Search, about the ‘Where’ and ‘What’ of panning for precious materials. This gives you ideas, but it doesn’t necessarily prove that the keywords will be profitable. Don’t worry so much about that for now, just continue noting down interesting ideas, phrases and potential keywords you want to target. We’ve talked at length before about how reddit is a powerful resource for marketing, but until recently I didn’t know to what extent. As well as being a platform for being heard, it’s a great place to just listen. 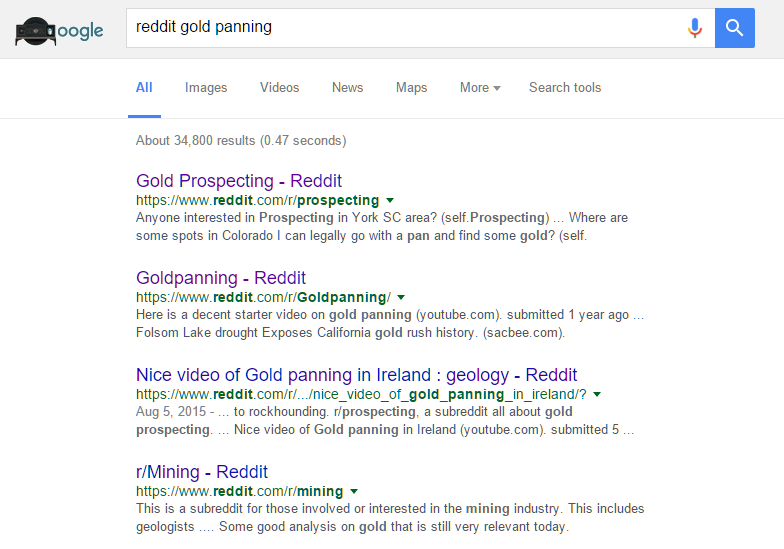 Prospecting in [Area Name] — Is It Worth It? Now begins the less fun, more meticulous part of the process. We’re almost out of the exploratory brainstorming stages and starting to get serious. Take the keywords out of your mindmap (keep that for later because it represents your thought process and hierarchy of topics) and paste them into a spreadsheet. Grab the results out of GKP by hitting the ‘Download’ button, and then copy the data into your sheet. These are your seed keywords. They’re what you use to find long-tail, more specific keywords by launching into a longer and more involved keyword process based on the early research outlined here. Ready to get started? I’m going to have to hand you over to a checklist I wrote on the keyword research process. The important thing to remember is that this is the very start of the process. If you want to generate a real list of hundreds of target keywords to give you countless landing page and blog post ideas, you should use the checklist above to do that. I’ve found that using these networks to generate your seeds is much better than just doing it off the top of your head. Do you have any tips for finding niche keywords? Let me know in the comments. 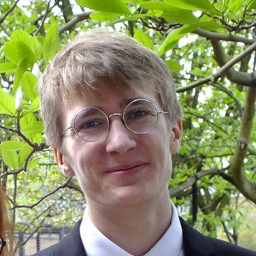 Benjamin Brandall is a content crafter for Process Street and a part time video game geek turned full-time blogger, feeding an ever-growing addiction for all things marketing. Find him on Twitter here.